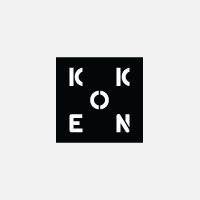 Inserts Google Analytics tracking code into your Koken site to track page views and other data. Also includes an Anonymize IP option for countries where IP address acquisition isn't allowed. Compatible with any Koken theme. Follow these steps to setup the Google Analytics plugin. You'll now need to setup the plugin with your Google Analytics data. Click the Setup button. On the setup page, input your Google Analytics tracking ID into the field. You can find your tracking info by logging into Google Analytics , clicking Admin, then selecting the Tracking Info tab. Example: UA-1234567-8. When complete click the Save button. Google Analytics tracking code using your tracking info will now be injected into your site's theme. Add option for enabling demographics and interest reports code. Better tracking for themes that use pjax or turblonks.